Derived from the Latin Cornu = horn, Copia = abundance. The cornucopia is a horn-shaped container overflowing with fruit, nuts, and vegetables. Its origin as a symbol of abundance comes from Greek mythology. Zeus was raised on goat’s milk by Amalthea. In gratitude, he gave her a goat’s horn that had the poser to grant the wishes of whoever possessed it. Zeus also set the image of a goat into the night sky, as the constellation Capricorn. 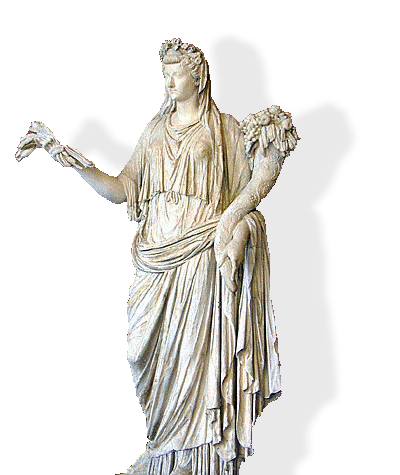 Since the 5th century BCE, gods and goddesses, especially Fortuna, goddess of luck and fate, would be depicted carrying a cornucopia. Today the “Horn of Plenty” is a symbol of the abundance of the harvest, most often associated in America with the Thanksgiving holiday. No longer is it a genuine goat’s horn, but rather a large, cone-shaped wicker basket. Though the material may have changed, the meaning of the cornucopia has persisted throughout the centuries, and many a horn of plenty graces the center of the Thanksgiving dinner table. With all the renewed interest in fantasy over the past decade, the 102 year old historical fantasy, Puck of Pook’s Hill, deserves consideration. Two early 20th century children, living in Pevensey, England, have a chance encounter with the legendary Puck, who undertakes to bring them a series of first hand accounts of the history of their region. Puck introduces them to eye witnesses to such events as the Norman Conquest, the waning of the Roman occupation, and the dissolution of the monasteries. As the historic individuals relate their tales, they are suitable impressed with the children’s abilities to resolve some of the mysteries that were not understood in their times. 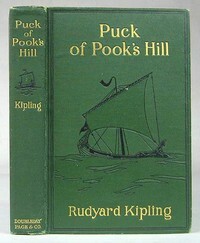 The selections of Kipling’s poetry that accompany each chapter are related thematically, and pleasingly rhythmic. Recommended for grade level 4 and up through adults. The intro to Susan Cooper’s justly famous Dark is Rising series, Over Sea sets up the saga beautifully. Though published as children’s literature, it is much more than just an amusing kiddie story. Deftly intertwining history, mythology (especially Celtic and British), adventure, and magic, Over Sea appears based upon two ancient myths, that of the kingly hero and that of the Minotaur in the labyrinth. Cooper’s writing is ageless and timeless. Her plot is tight, her characters engaging, her dialogue real. Who are the Drew kids? How did they become enmeshed in this struggle between the light and the dark? Who are friends and who are enemies? The account of Bartholmew’s bewildering and dangerous experience in the village carnival, with its ancient roots, mixture of menace and delight, and suspension of reality, is particularly well presented. 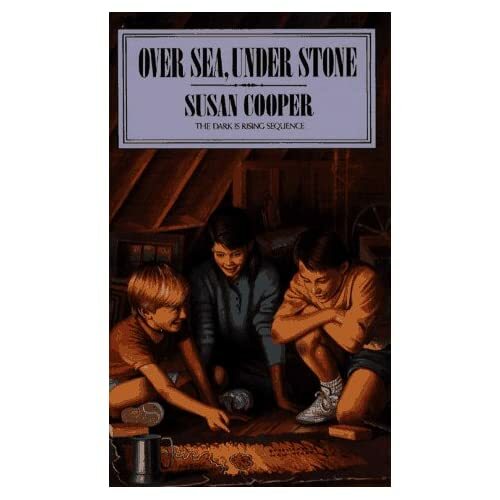 This is a book that can be read and enjoyed on multiple levels, recommended for adults who love folklore as well as children looking for a fun, intriguing adventure.